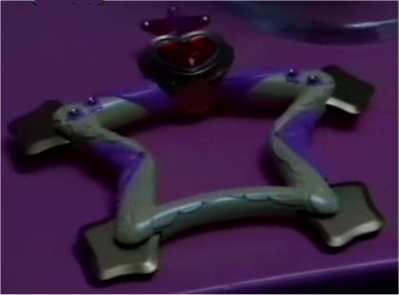 This item is used to ward of evil spirits. 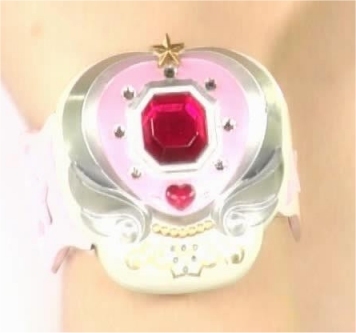 It is also used with Sailor Mars's "Aku Ryo Taisan!" attack. 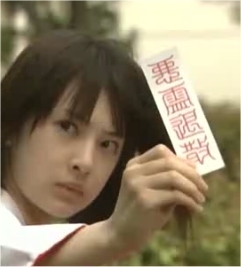 The characters on the paper help to fight evil. 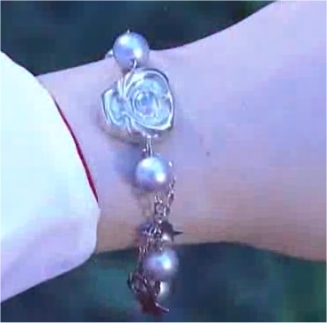 These items are really only one- the silver bracelet allows for the transformation to happen, but it turns into the Jewelry Star Bracelet when Mars is transforming. This cell phone has the ability to act as a communicator with the other senshi, act as a plain phone, and also to act as a disguise device. If Rei takes a photo of someone she will transform into that person. When the girls try out the phones to see what disguises are stored in them, Usagi is disappointed the Rei's are all very useful and not especially fun. The tambourine is a weapon in which energy can be conducted through. 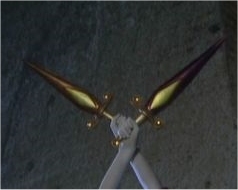 It helps to amplify her power, and in the final act Sailor Mars transforms it, along with Sailor Venus's Star Tambourine, into a pair of swords. This is a speculatory item. It is highly likely that Rei has a passport to Crown Karaoke, but the series never actually shows Rei using it. Still, she is in the building a lot for senshi meetings, just like everyone else.